At Cams Hill School, the care, guidance and support of our pupils is most important to us. The support given to pupils is very strong across all year groups. Our pupils need to feel safe and secure in order to thrive academically and socially. 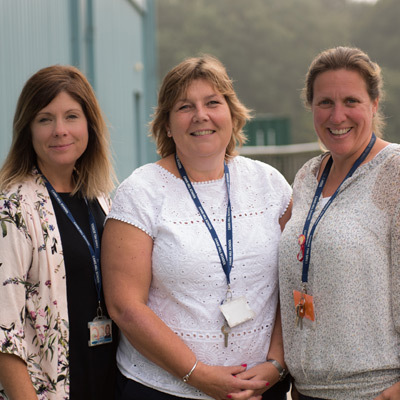 The pastoral teams work hard to ensure that this is the case and to help pupils and their families deal with challenges as and when they arise. The school promotes a strong caring ethos where every child is treated as an individual. A wholehearted interest in the welfare and progress of all children is an essential quality for everyone working in the school. If pupils are to achieve their full potential they need to feel happy and secure within the school community. Our pastoral system plays a key role in our commitment to promote British Values by instilling in all pupils a clear sense of right and wrong by being tolerant and respectful of the needs of all members of our school community. Pupils in each year group are organised into tutor groups with a tutor who will usually look after the group for the majority of their time at Cams Hill School. The first point of contact for pupils and parents/carers should be the relevant tutor, as they handle day to day matters and give advice where needed or requested. The next point of contact is the Head of Year or Assistant Head of Year who oversee all of the tutors and who handle a range of issues concerning pupil welfare and happiness, concerns over attendance and punctuality as well as dealing with discipline issues. Pupils can access any of the year team offices throughout the school day and can seek support in all aspects of the pastoral system. Each office has a non-teaching member of staff based there throughout the day and they are accessible to all pupils. The support and involvement of parents / carers is vital and a major factor in the school’s success. Parents/carers are always made welcome in school. We also keep in contact via emails and regular letters, parent/carer meetings, ClassCharts and progress reports.